The VC Police Department is located in the Osborne Administration Building located at 4400 College Dr. in Vernon, Texas. It is comprised of a Director of Campus Police, two Sergeants, two full-time Police Officers, and is supported by a force of ten part-time law enforcement officers from local agencies in the service areas. These brave men and women are all Licensed Peace Officers through the Texas Commission on Law Enforcement (TCOLE) and have full arrest powers and duties. Officers are individually assigned to each of our locations Vernon, CCC, and STC daily. We also work closely with law enforcement agencies in the jurisdictions of all our locations. 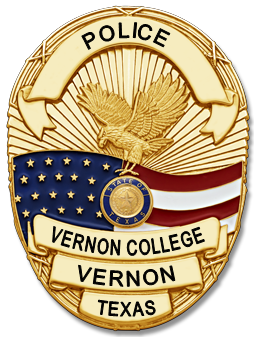 The mission of the Vernon College Police Department is to support the mission of Vernon College by creating a safe and secure environment where teaching, learning, and leading can be achieved. 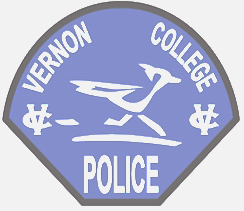 The VC Police Department will serve as a model for other College Police Departments by selecting highly-trained personnel and by providing cutting-edge police services. The VC Police Department personnel pride themselves with the use of good moral values and professionalism. We strive to promote and maintain a safe higher education learning environment for all our students, staff, and community. We achieve this through mutual trust, fairness, and dignity as we pursue our mission and the mission of Vernon College.